Michael Shelby is a chemical engineer by trade and a yank born and raised in the US, but we won’t hold that against him. Michael succumbed to the beauty of Australia, marrying an Australian woman who encouraged their move to Perth in 2007, following the birth of their first child. “We are very fortunate of the lifestyle afforded to us in Western Australia,” Michael says. With most of his time outside of the office spent shuffling his kids around to their sport and social obligations, he’s had to get into a few Aussie sports by default. 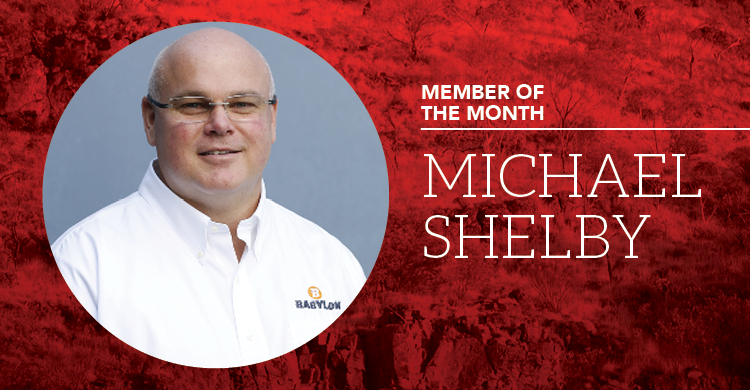 Michael kicked his WA career off in the oil and gas industry during the boom period in 2007. But a few years in he made the switch to mining, taking the job of an equipment supplier to mills and processing plants. “I got a taste of the wide open spaces, extreme distances and harsh conditions and I was intrigued,” Michael said. Michael is now Executive Chairman at Babylon Pump & Power Limited (ASX:BPP). He jokes that the company was started up by a group of grumpy middle aged tradesman who were tired of the status quo. “We wanted to have a crack at building a company and better future,” Michael said. After some initial success the company was listed on the ASX in January 2018. BPP provides two lines of specialised services; dewatering and diesel driven remote power supply and rebuild and maintenance for large diesel engines. In his role as Executive Chairman he suggests he is a jack of all trades and master of none. “I’m fortunate that I have a great group of experienced tradesmen that keep me walking a straight and narrow line,” Michael says. During his time in the mining industry he has found solutions to a variety of problems for his clients, the most unusual occurring in Indonesia. “The client required a solution to evaporate water deep in remote jungle areas. We provided a novel solution consisting of an old jet turbine engine strapped to the back of a small utility trailer. “Somewhere in the jungle there is an old jet engine roaring away vaporizing unwanted water. Hopefully the local population has a good stock of earplugs,” Michael jokes. He names Jamie Cullen, CEO & MD of Pacific Energy Limited as a source of inspiration for his endeavours as an entrepreneur. Having joined the WA Mining Club in 2017, Michael loves being a member so he can listen to the cast of characters spin a yarn and share their passion. “The variety of members young and old provide for interesting networking and the “robust” sharing of opinions,” Michael jokes. Although he continues to be in awe of the size and scale of the equipment in mining, he says if he wasn’t involved in the industry he would probably head back to a career in oil and gas. He says if he could change one thing about the world, it would be to give social media the boot and get people talking face to face more.